For the first time a West Tennessee family who fought to save one of their own, a 7-year-old almost killed in a vicious dog attack, speaks out. After weeks in the hospital she is home now, scarred from head to toe, but alive and healing. Joslyn Cortez was attacked late last month by a dog her family had recently taken in. Her injuries were so severe she spent the last 17 days in critical condition at a Nashville hospital. The attack left Joslyn severely scarred, cut and bruised but she pulled through. “It took big chunks out of her leg and her back and it crushed her ribs,” Rozanna said. It was a vicious attack none of them expected. It happened during a simple game of Frisbee in the family’s backyard. The dog had recently become part of the family after he was found wandering their road. But in a matter of seconds, that perspective changed. The dog had chased Joslyn down a wooded path and began mauling her on the ground. But within seconds, Joslyn’s mother jumped between the two and her brother smashed the dog on the head, putting themselves in danger to save her. And it is that fight for each other that not only got them through that attack but will get them through the road ahead. 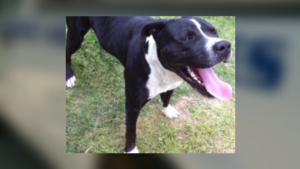 The dog that attacked Joslyn was later shot and killed by animal control officer. There is still no word on who the owners may have been. Joslyn still has a very long road to recovery, including months of physical therapy, but she is up and walking around. For ways to help the Cortez family go to the Seen on 7 section. Let this be a lesson to all. Never take in a stray pit bull.